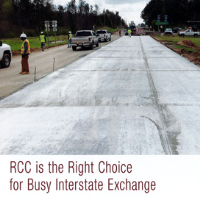 Because RCC does not rut or shove as large trucks stop, start and turn, the length of life for the pavement as well as less maintenance costs added to the benefits for the RCC interstate exchange. 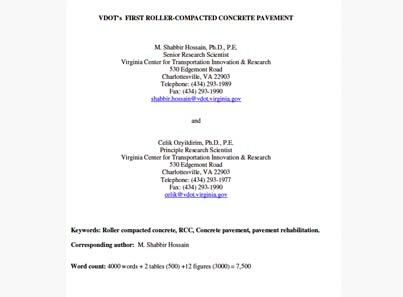 This paper summarizes a RCC project completed by the Virginia Department of Transportation (VDOT) that covers about 134,000 square feet, equivalent to 2-lane miles, at the “Park and Ride” facility in Stafford County, Virginia. Learn more about VDOT’s First RCC Pavement.